Building Conservation Trainees will undertake the LTM Building Conservation in-house training programme whilst gaining experience onsite, assisting in the day to day running of their designated project. 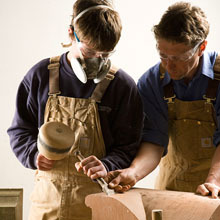 On successful completion of the programme the trainee will have an extensive understanding and experience of masonry conservation works including use and application of traditional materials and methods. Applications are invited from candidates who demonstrate their enthusiasm, willingness to learn and commitment to their chosen career. They should care for the buildings, the workplace and environment around them. Recruitment is ongoing and interested candidates should submit their CV and a covering letter outlining any previous experience in this area and suitability for this role.